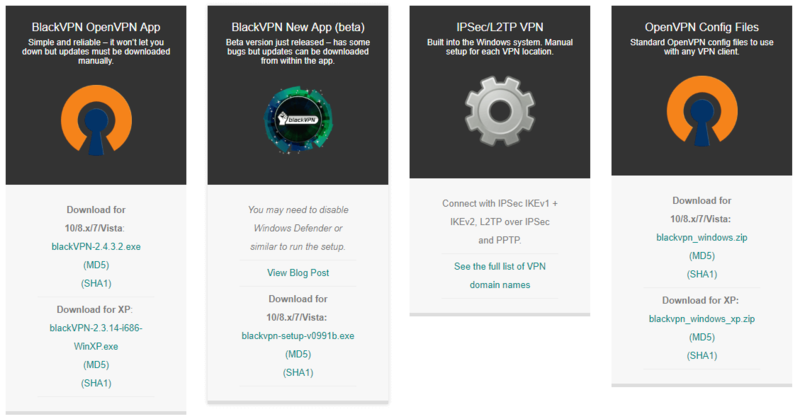 BlackVPN highlights three things on their website: private, secure, and unblocked. In this review, we look at this Hong Kong-based VPN provider and how well it can meet its claims. It’s quite rare to see VPN providers setting their base in Asia. Let’s figure out whether there are merits to that. As we mentioned earlier, BlackVPN has very few servers and this more often than not translates to poorer speeds. Having a limited number of servers means that more users are sharing a single IP address. This means that the bandwidth that a server can produce is being split between more users as well. We were expecting to see some throttling in the transfer rates, but what we got instead were really good speeds. The latency we saw from the tests were also decent enough to be used for some casual online gaming. BlackVPN covers all the standard operating systems; Windows, Mac OS, Linux, Android, and iOS which makes it usable in most cases. Router configurations are also available on their website, this increases the number of devices that you can simultaneously connect to the servers. Likewise, unlisted devices like smart TVs and gaming consoles on VPN routers can enjoy the privacy of a VPN connection. BlackVPN updated their logging policy to meet market demands. If there’s something we can praise about blackVPN, it is their decision to transform from a company that keeps connection logs to a company having a strict no-logs policy. For those that aren’t in the loop: keeping logs is a profitable model for VPN providers as they can sell customer data without informing them. Restructuring their logging policy was a huge step and this decision will surely benefit them in the long run. Do we believe they’re not keeping logs? To be honest, we’re on the fence about it. 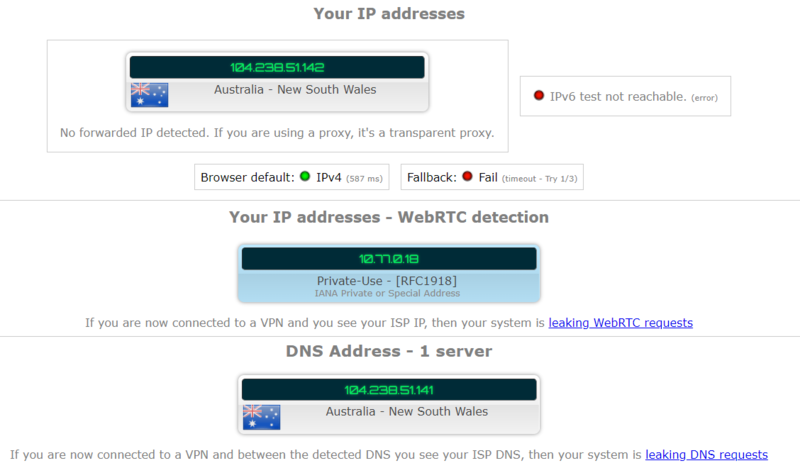 Your IP address is your primary internet identity. If your VPN provider is not cautious enough to prevent IP and DNS leaks, then your identity can be revealed to any third parties. BlackVPN successfully prevented any IP and DNS leaks during our testing which is indicative of a secure and private internet access. If your VPN does not have the industry standard 256-Bit AES protection, you should reconsider switching VPN providers. This level of encryption is favored among the top VPNs as it is virtually uncrackable by today’s brute-force methods. 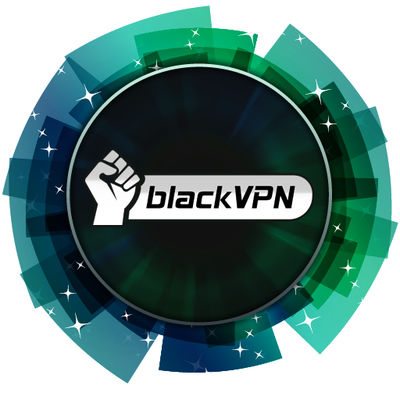 BlackVPN utilizes this security level for their service, this makes us confident in their capacity to protect you from being exposed on the internet. With a kill switch, your identity is safe even if your VPN client loses its connection with the servers. This is a secondary defense in which your VPN will shut down all your connections when it feels that you are at risk of being exposed. 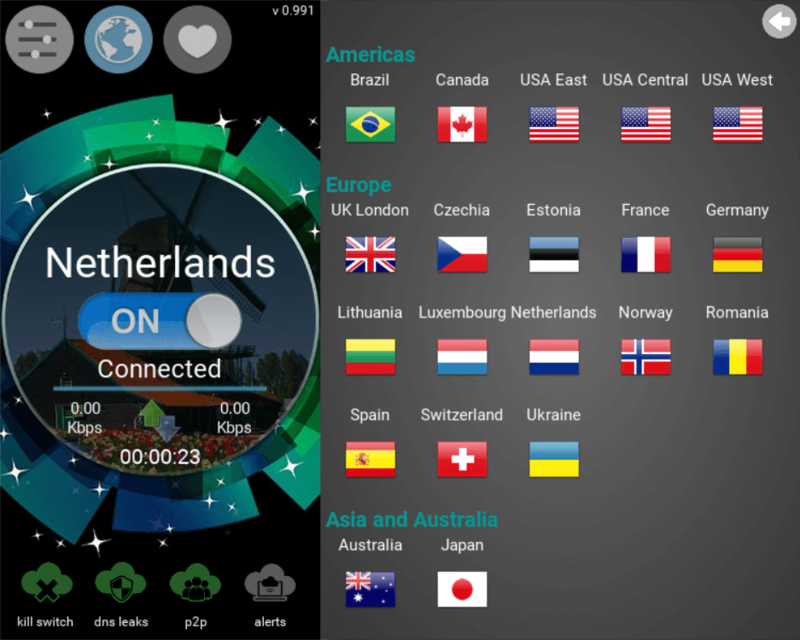 This ensures users that their activity would be routed within the encrypted VPN network only. BlackVPN offers unrestricted P2P file transfers, which means that torrenting should not be a problem. Bandwidth for torrenting is also unlimited which is a great thing. Do note that torrenting is not permitted on their UK and US servers, likewise, it is not available for their TV plan subscribers. We tried it out with different torrenting clients like Vuze, uTorrent, and Deluge; everything worked out well. If you want a VPN that’s more supportive of torrenting on all its plans, here’s a list of the best ones. Should you need to transact using your credit card, you can do so with a third party payment processor named Paymentwall. 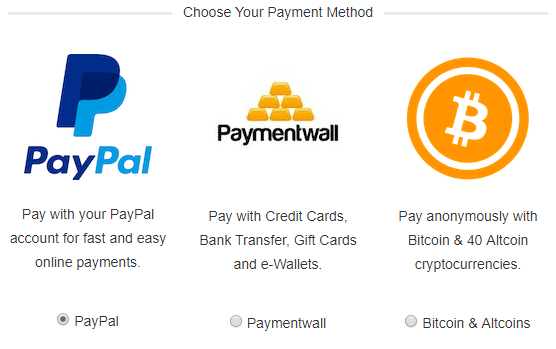 We did like that blackVPN is accepting over 40 Altcoin cryptocurrencies as well as Bitcoin. This adds an extra layer of anonymity for users subscribing to their service. 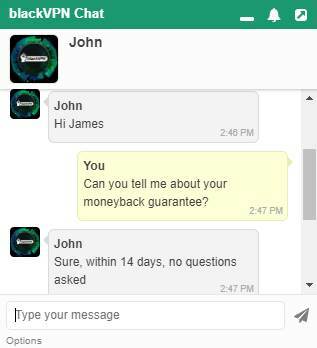 BlackVPN has a 14-day money-back guarantee. That’s actually a decent amount of time. But the problem with their refunds is that it’s really hard to do. You won’t be able to find a refund page anywhere on the website. It’s also quite frustrating that their FAQs will only show an unrelated answer. We ended up doing it old school and filed a support ticket. We received an email a day after that says that they gave us a refund. But the email they sent severely lacked information that made us certain of any reversal of charges. 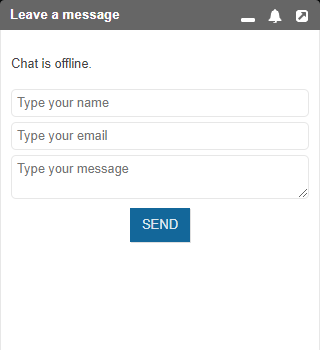 There is a “live chat” feature on the website which allows you to talk to their customer service reps, but doesn’t have the best support options when the live chat is offline. Their live chat operating hours are usually 24/5 – meaning they are operating 24 hours a day during the weekdays only. When live chat is offline. The ticket support does work. It’s not the fastest method but we got our answer. Here’s a sneak peek of the user interface. It’s not pretty. BlackVPN has 31 servers in 18 countries. Yes, you read that right. For a VPN priced as a premium product, this makes us want to bang our heads on the wall. We don’t like judging VPN services by sheer server count alone, but if the price comes off as a premium, we’re a little more keen to point out these things. NordVPN, for example, has more than 5,000 servers and is less than half the price of a BlackVPN subscription. Netflix is a tough nut to crack since they are quick to detect VPN IP addresses and blacklist them. This is where VPN providers with low server counts are disadvantaged. Since Netflix works fast, the VPN providers must either work fast to provide new IPs or provide a large server count to deter manual blacklisting. For the Netflix test, we tried the 4 available server locations in the US. Unfortunately, none of them were successful at playing any of the US-specific movies and shows. They even have a TV plan available for streaming TV shows from the US and the UK, but unfortunately, this does not include Netflix access. If Netflix is a deciding factor for you in a VPN subscription, you can stop reading about blackVPN here. Check out these great alternatives instead. BlackVPN priced their plans according to the features you want to be included. Their Privacy plan is basically a VPN which has no access to US and UK servers. The TV Plan, on the other hand, is limited to accessing US and UK only; this plan does not allow torrenting. 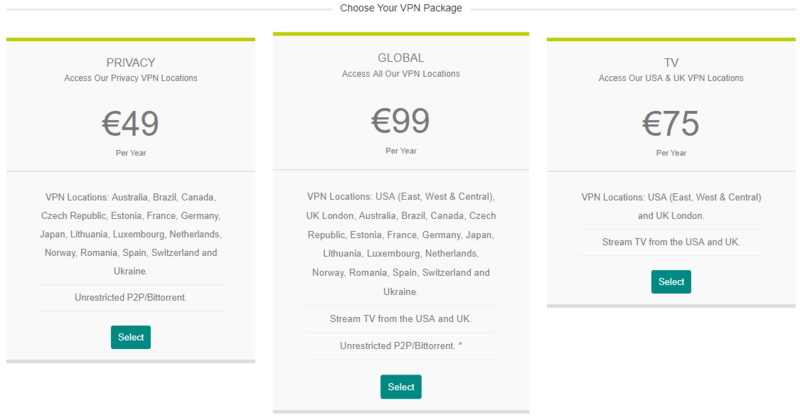 If you need a VPN that can do both torrenting and streaming, you have to subscribe to their 99 Euro (~$115) Global Plan. $115 USD for a 12-month plan is priced a tad higher the top competitors. It’s even more expensive than the top-rated ExpressVPN. 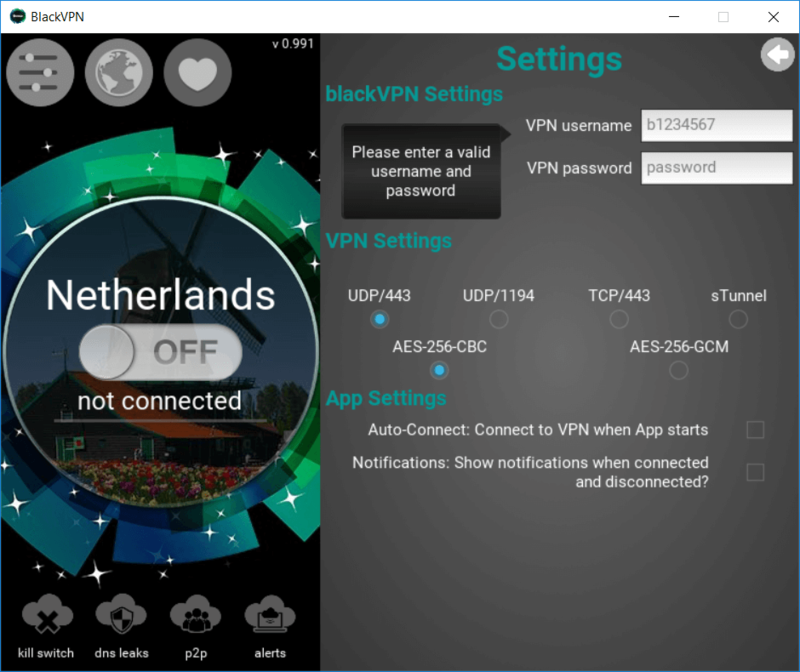 The only advantage is that you can connect up to 7 devices at the same time with blackVPN. When you have chosen which VPN plan is right for you, you will be taken to a page where you can select the payment intervals. You can choose whether to get a 1-month, a 3-month, or an annual plan. The latter being the most cost-efficient. You will then be redirected to a page of your chosen payment option. After that, you would be greeted with a notification of a successful transaction. We just find it a little frustrating that there are no easily accessible download links on the note, and we had to painstakingly look for it on their website. The username and password provided are randomized numbers and letters. This can be quite annoying for those who don’t use a password manager but in reality, is a great option for extra anonymity. When you do find the setup files for Windows, you will be confused with the options. It isn’t clear to a new user which client is the best one to download. We went for the BlackVPN New App option. A first time user may be confused. 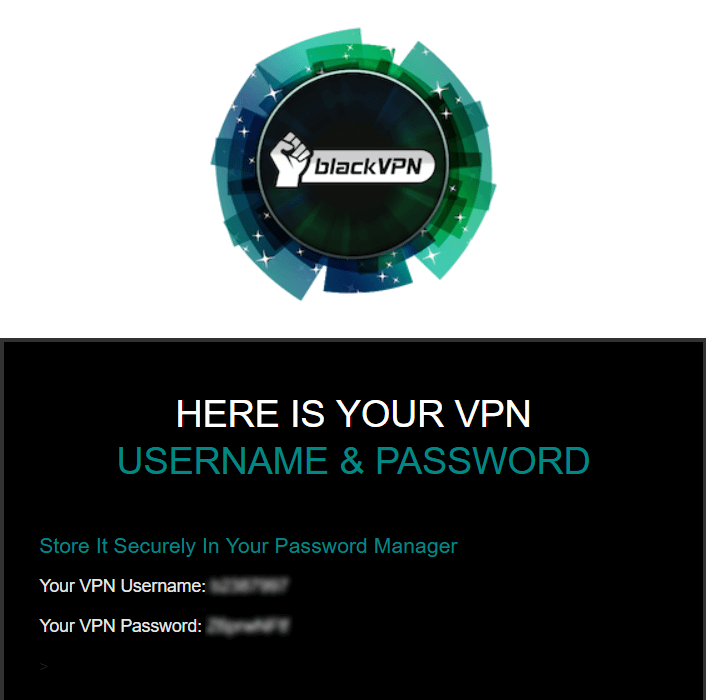 Signing up and setting up blackVPN in a nutshell, wasn’t the easiest experience. BlackVPN’s app UI brings us back to the early 2000s. The product interface does not match blackVPN’s prices. It looks cheap. They say that we shouldn’t judge a book by its cover, but it’s 2018 and most VPN providers are already stepping up their game in terms of having a great UI. Initial looks aside, the VPN settings that they show will definitely ward off users that don’t know much about encryption methods. If you ever visited websites of top-tier providers, you would know what good documentation looks like. There would be very comprehensive FAQs, rich knowledge resource on VPNs, setup guides and basically everything you need to know about their product. We don’t see much on blackVPN’s website. You have to click on so many places just to even have a chance of getting to the information you need (if it’s available at all). In 2009, blackVPN found its home in Hong Kong. The location was a strategic decision in itself; they’re legally free to keep little to no information about their customers. BlackVPN only transitioned to a no-log VPN in 2015, when data privacy started gaining traction as an important decision factor for users. This is a great sign that blackVPN does adjust to the demands of the market, but it’s also a great reminder that blackVPN is a business looking out for profits and not freedom by virtue. They have also been working with 3rd party services like Viscosity VPN for their VPN client licenses. blackVPN is based in Hong Kong. This is something different in the VPN industry. Prior to the review, we assumed that it could possibly be a VPN provider optimized for users in Asia. Ironically enough, they only have one Asian server and it’s not even in Hong Kong. If there’s any saving grace, Hong Kong is not a part of the 14-Eyes alliance. This means that there are no mandatory data retention laws which the government and its allies can abuse. Some of you might worry due to Hong Kong being a Chinese territory, but they’re a special territory and have their own policies. We can appreciate changing policies due to market demands and blackVPN seems to be tackling it head-on. Customer support was very responsive – but only when they were online. As we’ve mentioned before, their operating hours are 24/5 – weekdays only. Having no access to Netflix means this VPN isn’t for those users, but the security aspects and their dedication for no logs places this VPN towards the top for anonymity. Whether you’re a resident in Asia or not and want to look for more options, we’ve compiled a list of the top 10 VPNs here for you to check out.